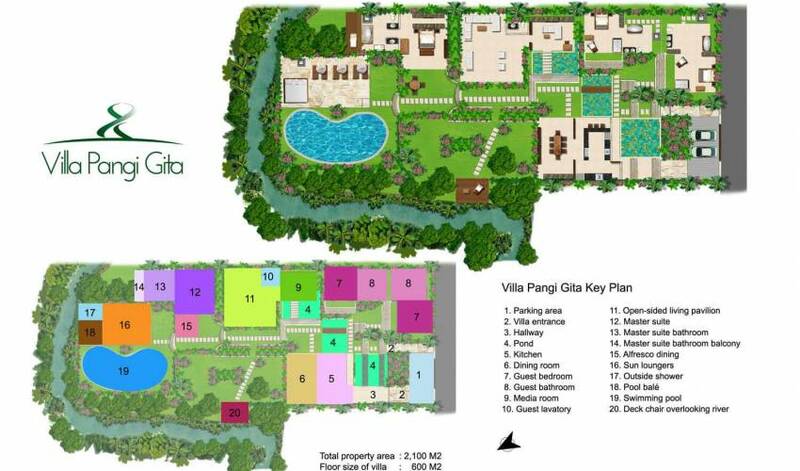 The villa’s official greeting, “Welcome to Paradise” couldn’t be more fitting. 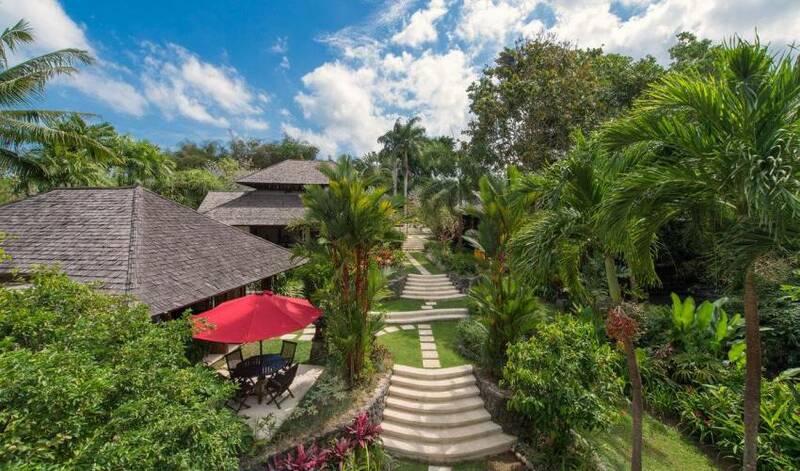 While guests will be hard pressed to leave the villa, a stroll through the village streets and rice fields should not be missed; nor should a sunset drink at nearby surfer’s haunt Echo Beach. A car and driver can easily be arranged (on guest account) for excursions further afield. Designed by the same architects responsible for the iconic Four Seasons Resort at Jimbaran Bay, this immaculate villa combines classic architecture with modern luxury and tropical landscaped gardens to create a truly standout property. 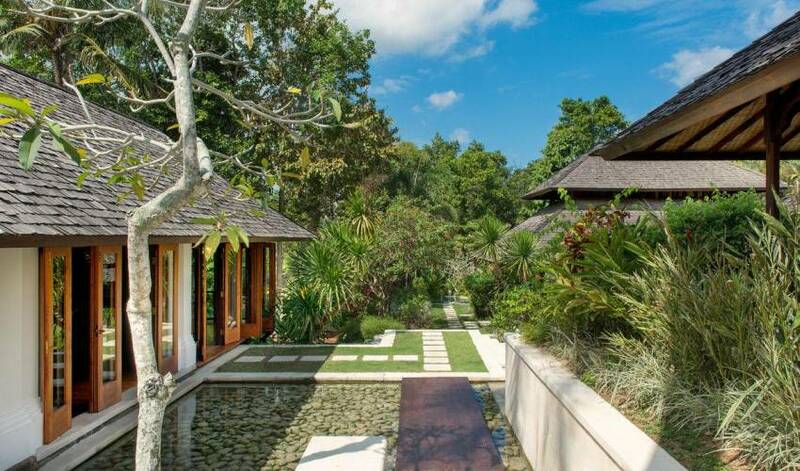 Guests enter the villa through carved wooden doors which lead to a covered Palimanan stone staircase flanked on one side by intricate limestone murals crafted by local artists, and on the other by a stepped water feature, home to a school of colourful carp. From here, a series of steps and flagstones criss cross luxuriant terraced gardens and connect the villa’s three very private, stand-alone bedroom pavilions, impressive open-sided living area, study and dining room, eventually reaching a delightful free-form swimming pool by the river’s edge. 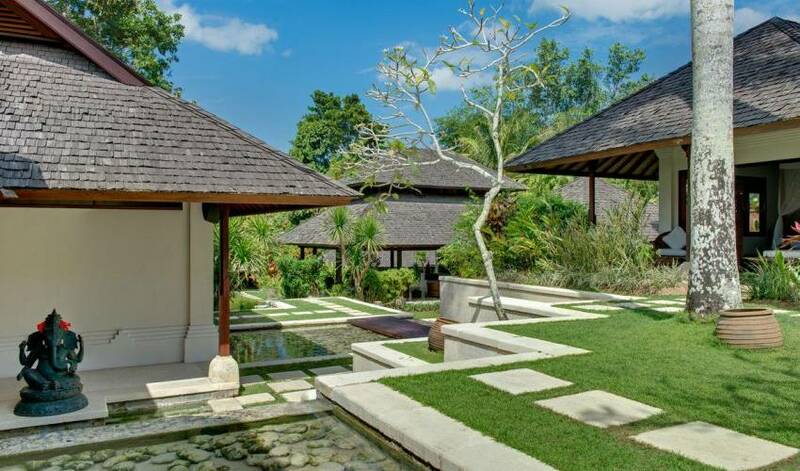 Presiding over the gardens at the centre of the villa compound the open-sided living pavilion with its lofty two-tier roof, coconut wood pillars and cool cream terrazzo floors, makes an ideal base for entertaining and relaxing. 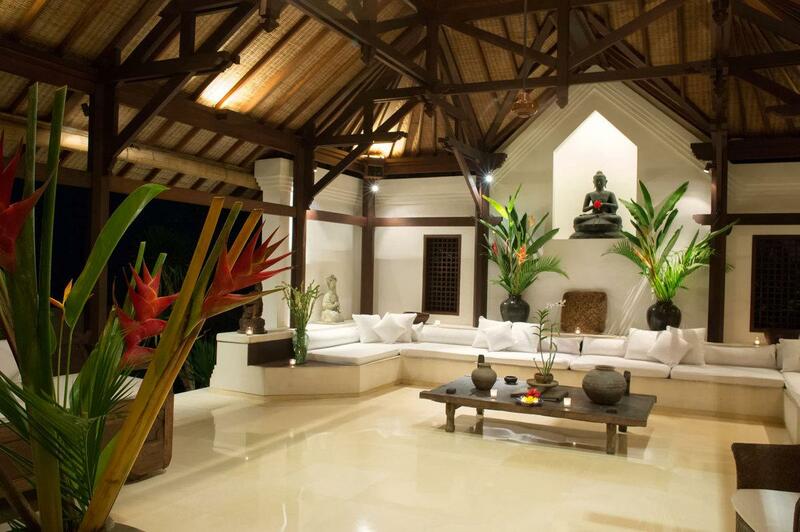 A large Buddha statue flanked by vases of tropical flowers casts its eye over the white-cushioned lounge where guests can lie back, cooled by ceiling fans, and take in the natural setting or admire the owner’s collection of antiques. To one side of the living pavilion is a cosy air-conditioned study, featuring a large flat-screen satellite TV and DVD player. A wall of bookshelves holds a good selection of books, games and puzzles as well as an extensive CD and DVD collection. 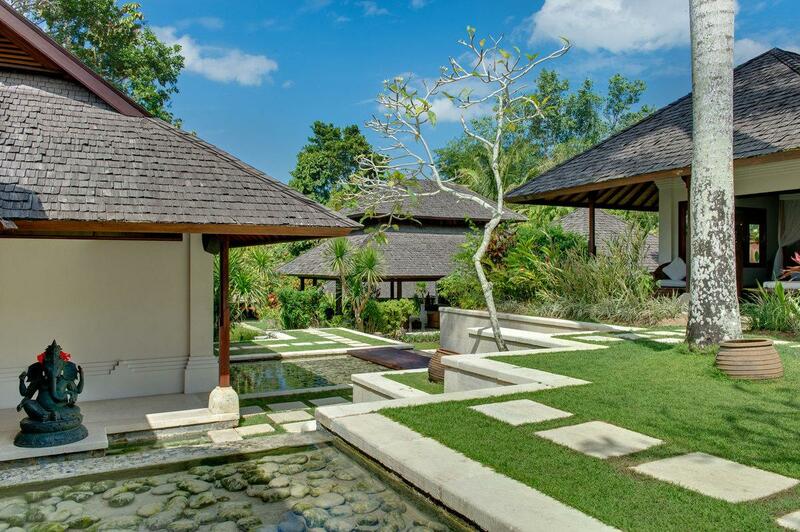 In front of the study a fish pond is fed by water from decorative stone spouts carved in the image of the barong – a lion-like mythical Balinese character. 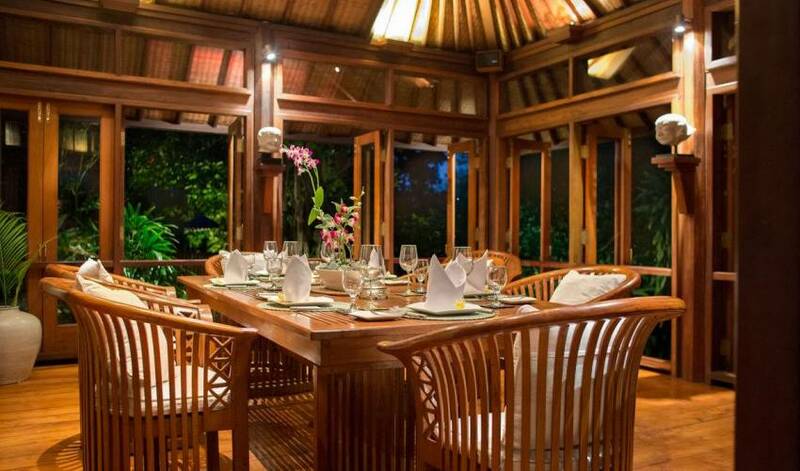 Stepping stones cross the fish pond to a handsome dining pavilion where a gleaming teak table seats up to eight guests. Although the dining pavilion offers the option of air-conditioning, three walls of floor-to-ceiling windows can be flung open to appreciate the songs of the river and the birdlife, the fragrances of the garden and views over the villa’s temple towards the pool. A notable feature here is the antique wooden panelling that separates the dining room from the adjacent kitchen with its marble breakfast bar and bar stools. The villa’s garden provides a sensory experience like no other: the twittering birds, brightly coloured heliconias, darting dragonflies, fragrant frangipanis, tinkling fish ponds, river rapids, delicate temple offerings and farmers tending their crops in the neighbouring rice fields, combine to create the sights, sounds and smells of the real Bali. 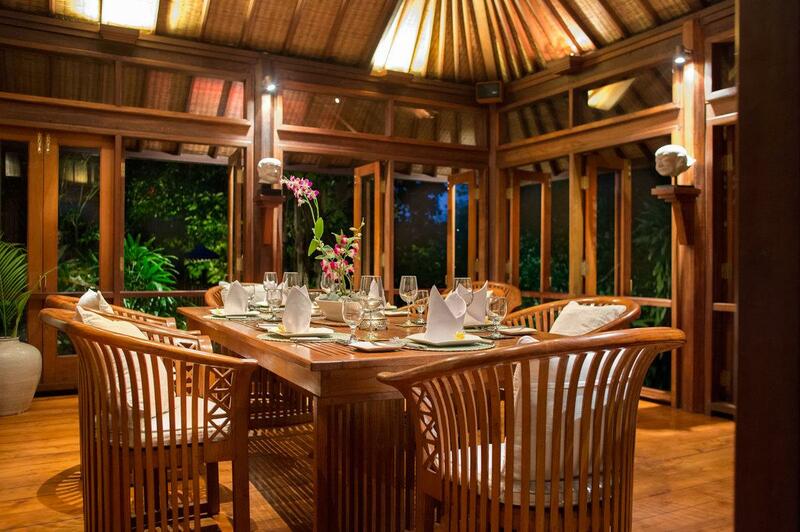 And to taste the real Bali you need go no further than the villa kitchen. 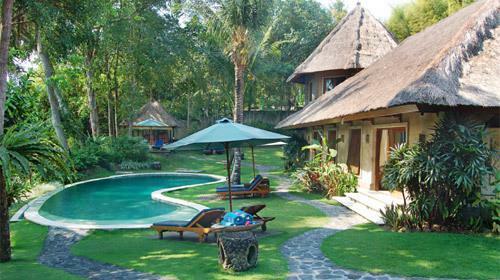 One of the best places to absorb the ambiance is alongside the green-stone pool, where the garden meets the river bank. Sun loungers shaded by bright red umbrellas and a thatched poolside balé offer a choice of spots for rest and relaxation . Those craving a bit of quiet ‘me’ time should seek out the single recliner on the wooden deck half way up the gardens, overlooking the river rapids. At the top of the villa compound, nearest the entrance, two guest bedrooms feature polished wood floors, vaulted ceilings and queen-size four-poster beds. 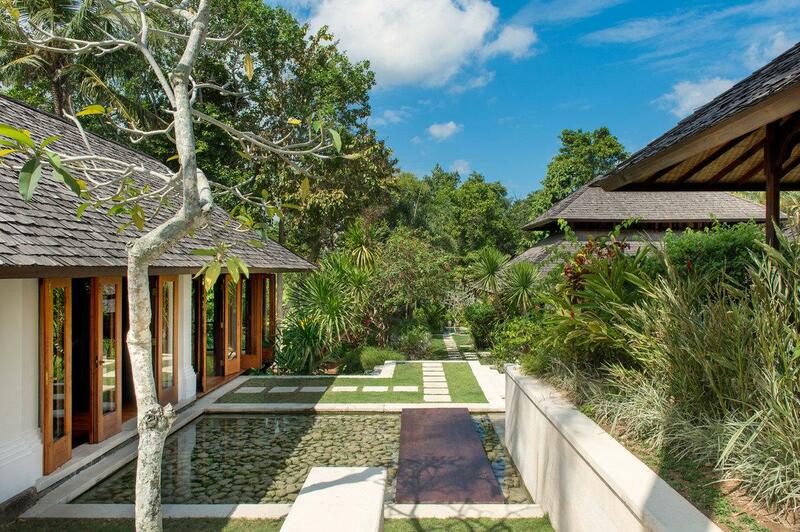 Both rooms have large Balinese-style garden bathrooms enclosed by lichen-covered walls. 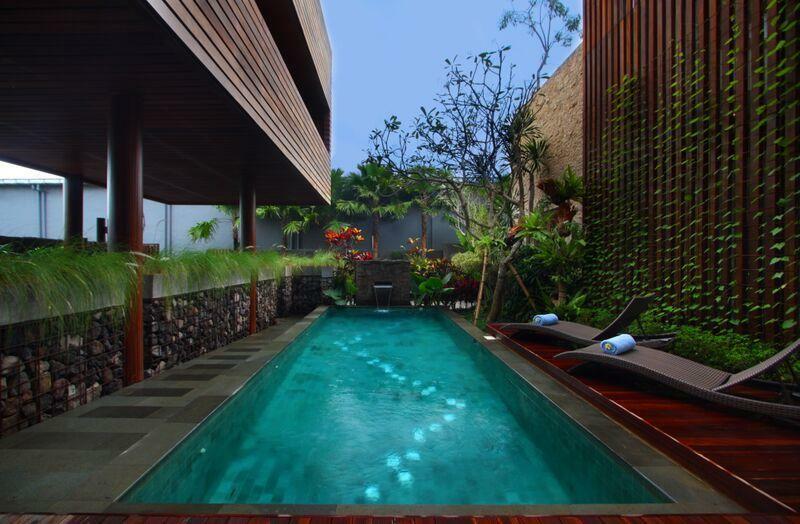 Here guests can bathe au naturel under the rain shower or soak in the bathtub set within a teak surround. The guest bedrooms are air conditioned and fitted with ceiling fans. Each is equipped with a TV screen and DVD player, and opens onto a shady veranda furnished with a daybed and reading chair. In one of the rooms a roll-away single bed provides extra sleeping space. The air-conditioned master bedroom lies at the lower end of the garden, close to the river and the pool, and is the ultimate honeymoon hideaway. The bedroom features a delicately carved queen-size four poster bed, polished teak floors, vaulted ceilings and large glass doors that open onto a stone terrace furnished with table and chairs – just the spot for a lazy breakfast. Furnishings include a comfortable planter’s chair and a wood cabinet housing a TV, DVD player and music system. Behind the sleeping area is a very large dressing room with generous storage space. Carved teak doors slide open to reveal a huge air-conditioned bathroom tastefully finished with polished cream terrazzo floors, his-and-hers vanities, a tiled double bathtub, massage table and walk-in shower. A special feature of this majestic bathroom is the secluded timber balcony, accessed via glass doors, which makes a perfect setting for a massage or spa treatment. 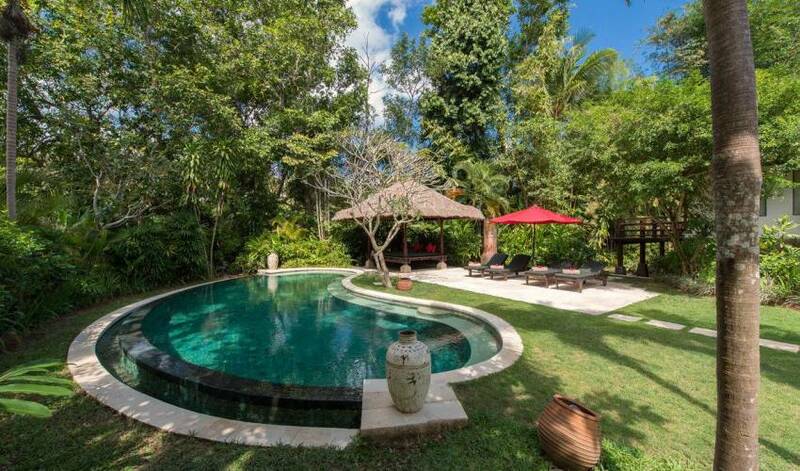 Secluded and private, Villa Pangi Gita lies beside the banks of the Pangi River in the traditional Balinese village of Pererenan. 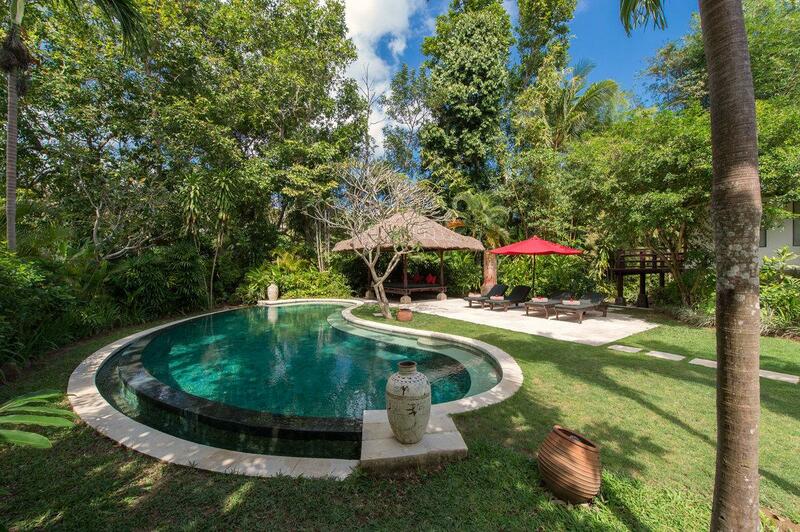 One of eight properties within the well-established Pangi River Estate, the villa is surrounded by the picturesque rice terraces of the popular district of Canggu. 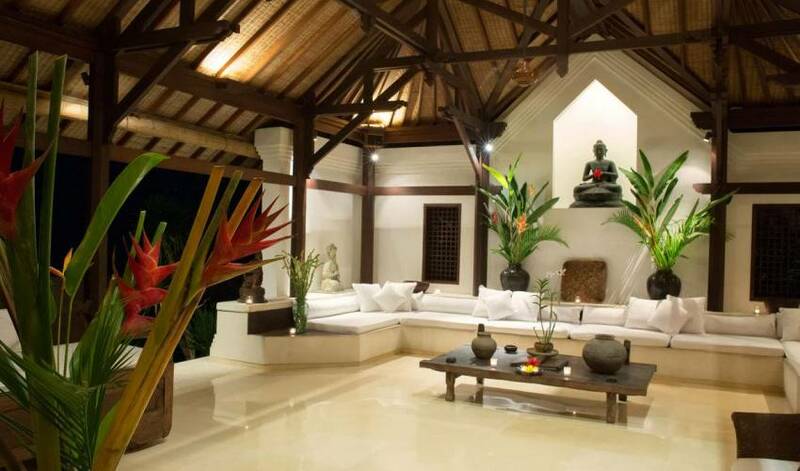 Remarkably laid-back and undeveloped, this tranquil out-of-town setting offers the twin attractions of being only 20 minutes’ drive from the bright lights and dining delights of Seminyak, while also offering visitors a privileged insight into the traditions of rural Bali. 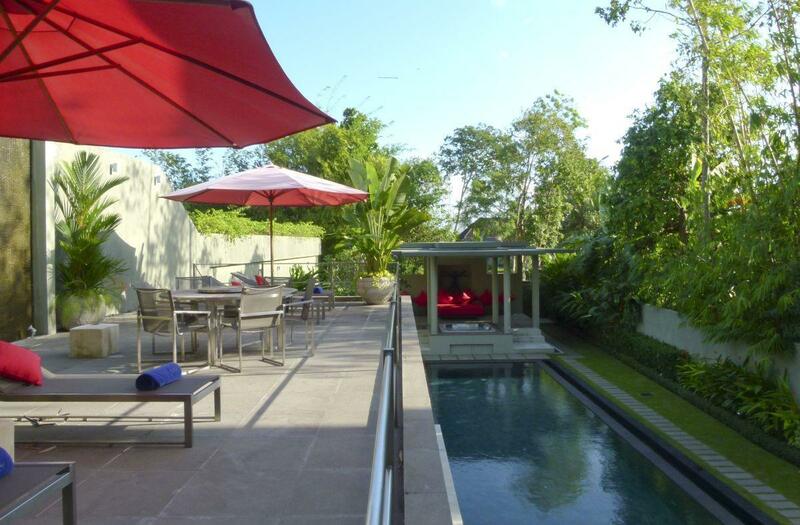 The nearby beaches are renowned for their legendary sunsets and world class surf breaks.